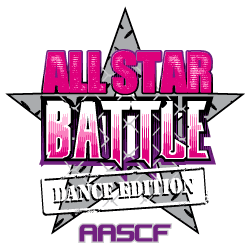 The AASCF All Star Dance Battle held in NSW (Sydney) – Friday 16th to Sunday 18th August - Venue – Sydney NIDA, will become the “MUST DO” event for dance teams from across Australia due to teams get to compete twice. Dance teams already have chosen to compete interstate at the Dance Battle, making it their destination Championship for the year. The ‘compete twice’ status makes it more viable coupled with the great depth of Dance competition they are guaranteed. Novice, Tiny and Primary/High School only compete once on the Friday Night or Saturday morning for half the entry fee • There is no Dance Doubles offered at Dance Battle. We award placing banners to 9th place in all team sections • Grand Champions in all styles, receiving the MASSIVE Battle trophies. Australasian Pinnacle Bids awarded in every style. Performance on a 8-run Marley dance floor. Coaches get full use of Point Review, being able to challenge their deductions in preparation for Day 2’s performance. Coaches then complete 'Routine Change Forms' to assist in the judge’s awareness of the efforts coaches and teams have made overnight. Exclusive extra rehearsal space for travelling teams coming from interstate or overseas. We have some updates on this year’s Dance Pinnacle Bid process. As you would all know by now, all potential pinnacle bid winning teams must not only be the highest scoring dance team in their style, they must also cap a score of 80 points minimum. We are really driving the Pinnacle to be an exceptional standard for 2018 and beyond. In the instance your team is the highest scoring team at any AASCF event, but don’t reach the cap of 80 points, your team will not be given a Pinnacle Bid; as such no bid will be given at the competition in this style. BUT THERES MORE…………we will honor the team the bid of the exact same category if they reach the 80 point score at any future AASCF events, even if they are not the highest scoring team of the championship. 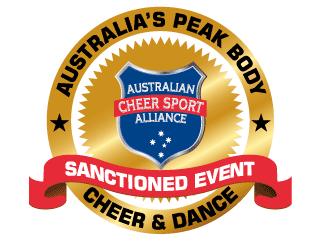 We want this to be a positive initiative to motivate our Australian dance teams to really step it up to another level.